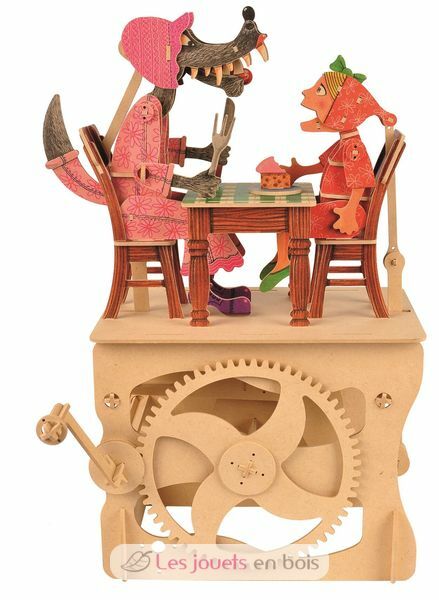 A moving mechanical wooden automata to build. No tools or glue needed! Just slot together the precision-cut pieces. Turn the handle and be amazed! 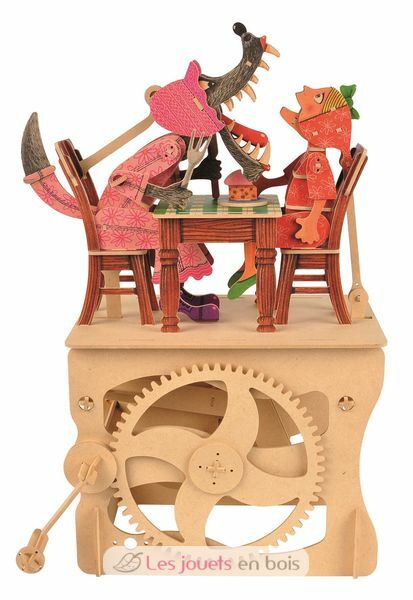 The detailed assembly instructions make building easy and fun. 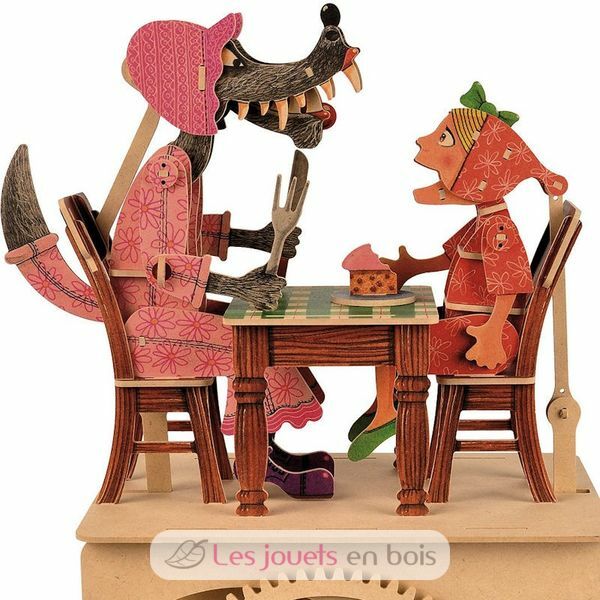 Automata Little Red Riding Hood and the Big Bad Wolf by ModelShop.